Timbale bucket. Wine and champagne chiller and ice bucket. 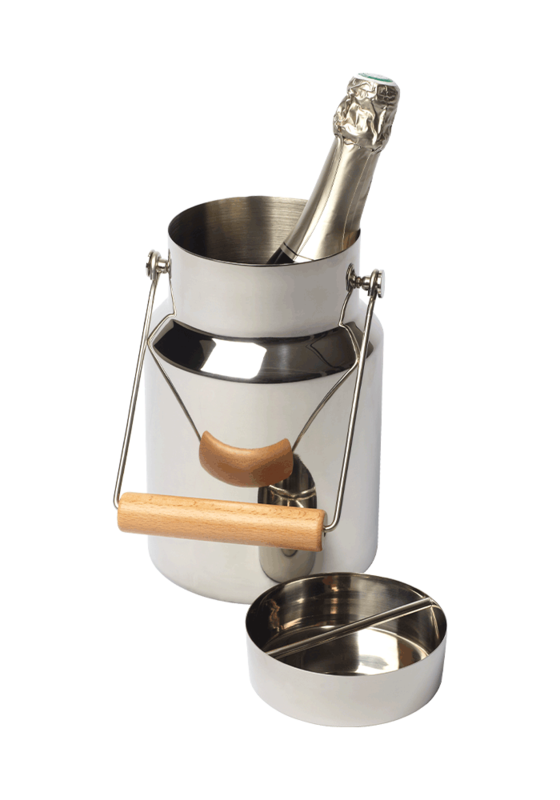 The luxury version of the classic farm milk can, the Timbale Bucket, filled with water and ice cubes, transports, refreshes and chills your wine. For aperitif time, its cover doubles as an ideal saucer for olives or salty snacks. With its cover on, it serves as an excellent ice cube bucket. For 75cl and magnum bottles. Made of stainless steel 18/8 and beech wood. H 24.50cm x Diam. 15cm.